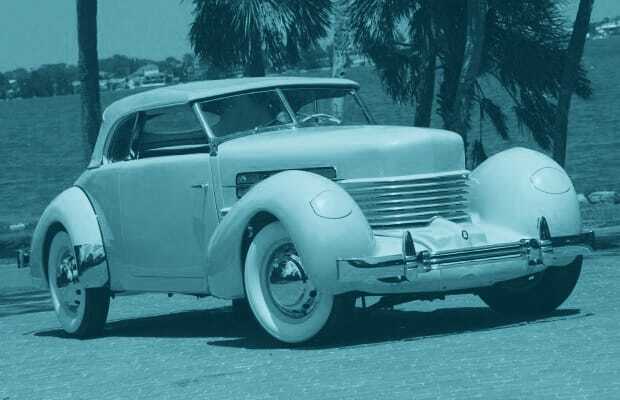 When the cars were as flamboyant as the buildings they drove by and the people that drove them, there was once a golden age known as the art deco era. When the world was going through its darkest times during the 30s and World War II, the "elegance, glamour, functionality and modernity" of these designs created an escape into a brighter, more exciting future. Some of the best examples of this famous time period come from the automotive industry, where the unbelievable culmination of futuristic innovation, along with limitless artistic expression, created timeless classics from the moment they debuted to nearly a century later. Most of these priceless automobiles are one-of-a-kind and hand-crafted by renowned coachworkers who would further perfect a Delahaye or Talbot-Lago with their own full-body customizations. It was during this incredibly special time that the world was blessed with the most beautiful examples of automotive art. It was an era when opulence and quality was unmatched and passionate innovators could set out to create their own dream machines. Sadly, it will never be duplicated. Inspired by trips to the Greenwhich and Pebble Beach Concourses, we've created a compilation of the most memorable works. All of the cars on this list are now artifacts and are solid examples of what one creative mind and strong will can accomplish. We'd like to propose a toast to the ones that changed the game forever and blazed once unthinkable trails with our gathering of 25 Stunning Art Deco Cars.